I get by in a different way. I get high in a different way. I feel love in a different way. Who prayed that God would not let go. Do you want to know if I even care? And Walter Disney's spinnin' in his grave. I bet that Disney's spinnin' in his grave. "thanks for the holy cows!" But it's how the record ends. Don't be a beast at least I gave the thing a try. I'm so sorry how this record had to end. 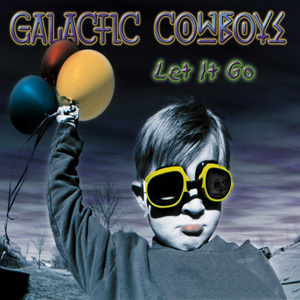 All songs written and arranged by the Galactic Cowboys. "Boom! ", and "Bucket of Chicken" Squeekwotone Music/Groove Ulysses Music ASCAP.